Audrey Elisabet: Change of Plans.. Again. The past couple of months have been interesting. I've been busy and completely uninspired, therefor I've been quiet. I finished last semester with pretty nice grades. Marinó came home shortly before Christmas and we spent the holidays with my family. We celebrated the New year in my family's cabin in the countryside and took a pretty big decision in the first days of 2014. We will not be moving to Copenhagen. At least for now we will live in Reykjavik. On the 4th of January we moved into a small apartment in downtown Reykjavik, and have slowly been making it our home. We are content, and I am filled with a sense of security that I have not felt in a long time. In other news.. We did take a trip to Denmark. My sister Telma came with us over a weekend, and then Marinó joined us for a week, before we headed home together. It was extremely nice and extremely cold. 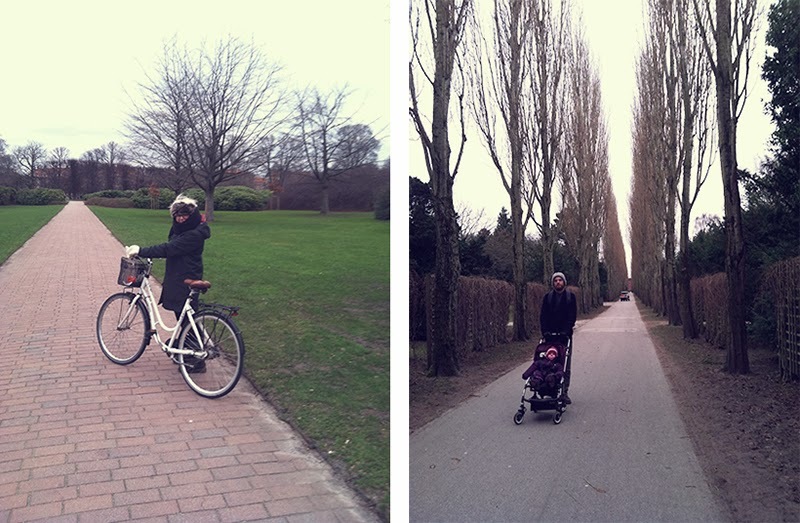 We took a trip to the ZOO, walked Strøget again and again, took a tour around Christiansborg Palace and rode our bikes all around the city. The highlight of the trip was visiting my old daycare, and meeting up with my childhood friend for a cup of coffee. We had not spoken since we were seven, so it was fun to catch up! Now the vacation is over and it's back to school!